In 1968, few could have guessed that the little-known Japanese automotive company called Mazda that had just set up operations in Canada would become one of the most popular car brands in the nation. At that time, Mazda had been producing passenger cars for only eight years, and while its origins in Japan went back to the 1920s, it was hardly considered to be a serious competitor in a North American automotive market that was at the height of its power and influence. But over the next 50 years, Mazda’s commitment to excellence in design and engineering would earn it a prominent place at the table. Even in its early years, Mazda was known for its artistic approach to car design, but its opportunity to shine really came during the fuel crisis of the early 1970s. After decades of producing large, gas-guzzling automobiles, North American companies were slow to adapt to a market that suddenly valued small, efficient vehicles. Mazda was one of the first companies in to see how the winds had changed and begin shifting its focus toward smaller, more fuel-efficient vehicles. At the same time, Mazda was pioneering an approach to driving that placed driver experience at the forefront. Mazda engineers believed that it was possible to design a car that would be functional and affordable but also a genuine pleasure to drive. 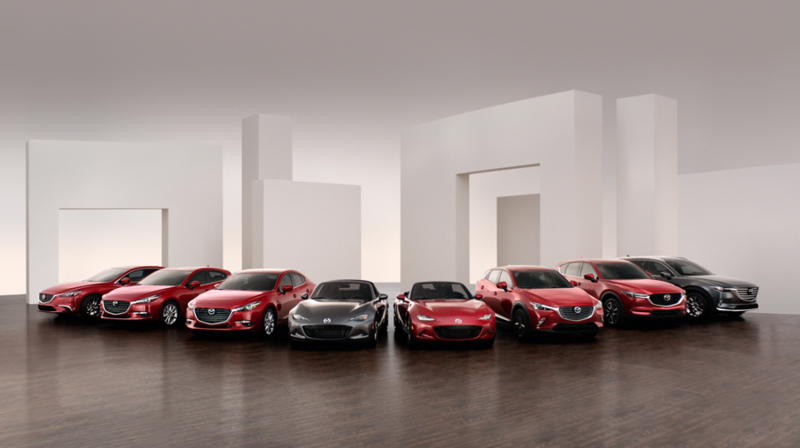 In pioneering this new approach, Mazda borrowed inspiration from some of the most successful automotive styles of the 20th century, leading in 1988 to one of its first undeniable triumphs: the MX-5 Miata, a roadster that blended the streamlined design and small size of the mid-century British classics with an engine that was far more reliable. But Mazda really cemented itself as a force to be reckoned with in the early 21st century with the release of the Mazda 3. Now one of the most popular cars in Canada, the Mazda 3 was meant to embody the rush of a sports car with the practical features of a family sedan. Shoppers could now go down to their local Mazda car dealership and find a car that met their everyday needs without giving up on the pleasures of driving. The Mazda 3 further spurred the growth of Mazda in Canada, and a decade later they matched its success with their new crossover SUV, the Mazda CX-5. By 2016, Mazda Canada had sold over 2 million cars, and boasted 165 dealerships across the country. In 50 years, Mazda had gone from being a small Japanese company struggling to define itself against the automotive titans to a giant slayer that had proved it could compete with the very best. With so much to celebrate in 2018, it is perhaps unsurprising that the success of the Mazda brand on a national level is translating into some pretty remarkable deals — whether you are looking for a great price on the perennially popular Mazda 3 or want to check out the award-winning Mazda CX-5 and CX-9, summer 2018 is a great time to head out to the nearest Mazda dealership and explore the options available.